Screwdriver bits hardened steel standard length, torsion drive for 3 x life of standard bits, designed for professional use in power drivers. 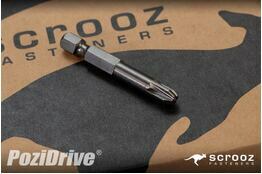 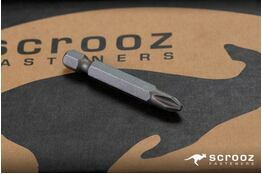 Designed for use in modern power drivers and impact wrenches. 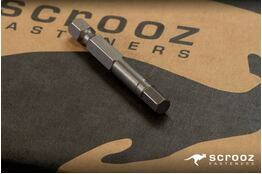 High quality S2 grade steel for maximum durability and longevity. Heat treated for increased strain and break resistance.